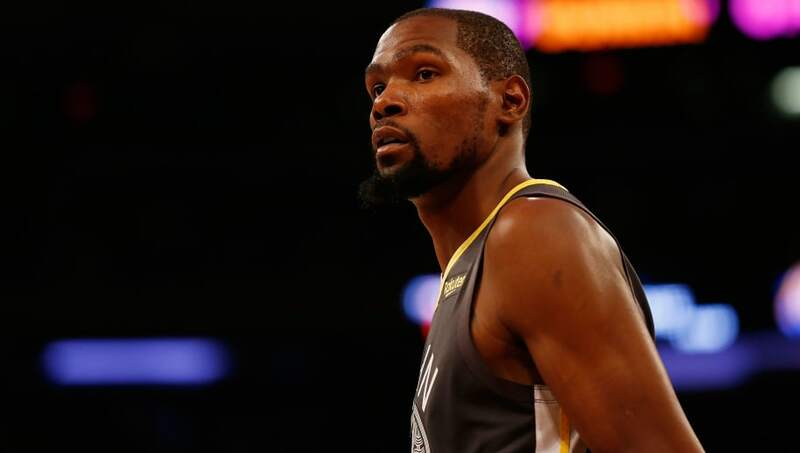 In what has been the worst kept secret in the NBA, the New York Knicks are all in on attracting the services of Golden State Warriors superstar Kevin Durant in free agency this upcoming summer. Those plans were only speculated further after the team ​used a photo of Durant in a pitch to season ticket holders in hopes of an increase in renewals for the 2019-20 season. The Knicks aren't the only franchise to use stars from opposing teams in their season ticket renewal letters. Heck, every team does it. As the organization states, it was a rotating image that appears on their website, but given the amount of attention it has received, it decided it was in the team's best interest to remove it. New York hinted at their plans this offseason by trading Kristaps Porzingis, Tim Hardaway Jr. and Courtney Lee to the Dallas Mavericks. The transaction gives the Knicks two slots for super-max contracts and over $70 million in cap space this offseason, ​with Durant being the prized player on the market. With the league experiencing bouts of tampering (i.e. the Los Angeles Lakers with Anthony Davis), the Knicks wanted to avoid it at all costs.